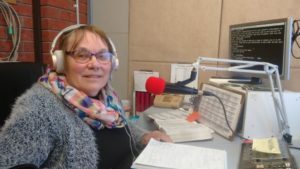 Elizabeth has inspired many listeners with her programs such as ‘Write your Story’ and more recently ‘Elizabeth’s Scrapbook’. She has counted it a privilege over the years to share with her listeners what God has placed in her heart and to play wonderful music to inspire us. On behalf of all at Good News Radio, our listeners and all who have worked with Elizabeth over these many years (as we celebrate our 25th year) we would pray as this season of her life concludes there will be many more opportunities for service in the future. We pray God’s richest blessings for both Elizabeth and her husband Malcolm and say thank you! thank you! thank you for all you’ve done.